Cristina Fernández de Kirchner says she is victim of a right-wing effort across Latin America to discredit the work of previous leftist governments. The Federal Appeals Court will address a complaint against charges against former president Cristina Fernández de Kirchner and several former government officials, which for many included preventative arrest. Appeals is Argentina's second most powerful tribunal after the Supreme Court. 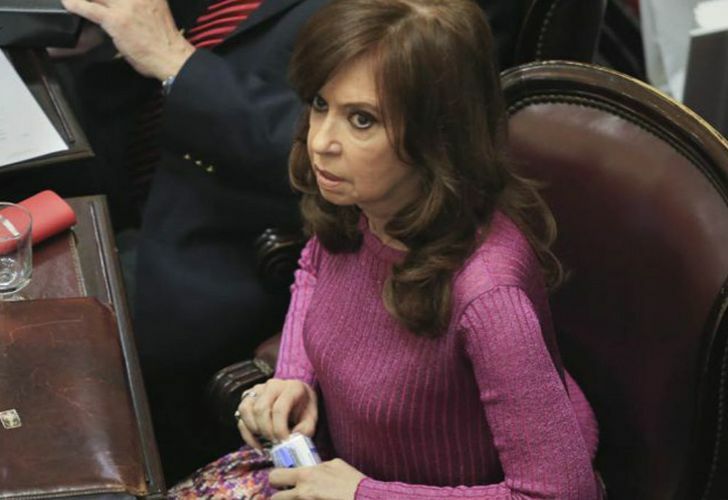 Fernández de Kirchner was charged late last year in the so-called "notebooks of corruption scandal" over alleged graft. She has so far avoided arrest because of the protections granted to her as a Senator. Among the complainants are former Planning Minister Julio de Vido and the ex government officials Roberto Baratta, Nélson Lazarte, Rafael Llorens, José María Olazagasti and Oscar Thomas. The businessmen who appealed Federal Judge Claudio Bonadio's ruling are Gerardo Ferreyra, Héctor Sánchez Caballero, Héctor Zabaleta and Francisco Valenti. The court's review of the charges comes after the Buenos Aires City Federal Court allowed to appeal to advance. A prior appeals request in a lower court failed. The Court must first determine when to address the complaint. If judges Daniel Petrone, Diego Barroetaveña and Ana María Figueroa choose not to break the current judicial recess, the case will be addressed in February. More than a dozen elite businessmen and former government officials were arrested after an investigation in the La Nación newspaper revealed on August 1 that millions in bribes were delivered by a ministerial chauffeur to residences owned by the Kirchners, both during Fernández de Kirchner's presidency and that of her late husband Néstor Kirchner. The driver's meticulous records of the cash deliveries – allegedly payments from business leaders in exchange for public works contracts – form the basis of Bonadio's investigation. According to driver Oscar Centeno's bombshell evidence, the Kirchners' residence in Buenos Aires was the venue for the handover of millions of dollars in cash, with others taking place at the Casa Rosada government headquarters and the Olivos presidential residence. Prosecutor Carlos Stornelli has said a total of US$160 million in bribes was handed over during a 10-year period from 2005-15. Some analysts have alleged the figure could run even higher. Fernández de Kirchner, who served as president from 2007 to 2015, is being investigated in five other cases, ranging from alleged foreign exchange manipulation to the signing of a memorandum with Tehran that Bonadio argues effectively protected Iranian suspects in the deadly 1994 bombing of the AMIA Jewish community centre. The other court actions against her include allegations of money-laundering, possible illegal enrichment and fraud. Still one of Argentina's most popular politicians, Fernández de Kirchner says she is victim of a right-wing effort across Latin America to discredit the work of previous leftist governments "that expanded rights and allowed millions of people out of poverty during the first decade and a half of the 21st Century."